Spinal muscular atrophy (SMA) is a genetic disorder in which a survival motor neuron (SMN) protein deficiency results in the degeneration of motor neurons. Until recently, SMA was the most common genetic cause of death in infants, but exciting progress over the last 10 years has led to some promising developments, including FDA approval to begin clinical trials of the first gene therapy for SMA. In a Phase 1 clinical trial completed August 2017 at Nationwide Children’s Hospital in Ohio, a one-time dose of the gene therapy extended the survival of patients with spinal muscular atrophy type 1 (SMA1). All of the patients surpassed the benchmark of 20 months, at which time only 8% of the patients with this disease typically survive without permanent ventilation. Dr. W. David Arnold — presenter of the 2019 Joseph V Scaletti Memorial Catalyst Lecture — is part of the multidisciplinary team that developed the new SMN gene therapy and administered the clinical trial. 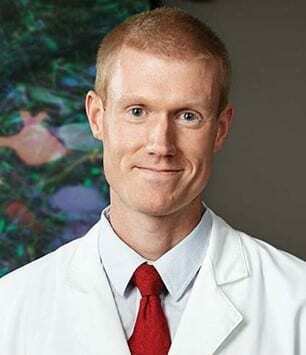 In his April 19th talk, Dr. Arnold will provide an overview of therapies for SMA, discuss ongoing unmet needs in the care of patients with SMA, and present recent data suggesting that survival motor neuron protein may have additional roles in the repair and maintenance of motor neurons, including as a potential therapeutic strategy in sarcopenia (the age-related loss of 0.5-1% muscle mass per year after age 50). Dr. Arnold completed his medical degree at the University of Louisville and his PM&R residency training at the University of Louisville and Frazier Rehabilitation Institute. He later completed fellowship training in neuromuscular medicine and then joined the faculty at the Ohio State University. Dr. Arnold’s research program is primarily focused on translational neuromuscular physiology in health and disease. His prior work helped define the natural history of motor unit loss in spinal muscular atrophy (SMA) and defined the effects of genetic therapies in preclinical models of SMA. As part of a multidisciplinary team at the Ohio State University and Nationwide Children’s Hospital, he was involved in the first-in-human clinical gene therapy trial in infants with SMA. At the Arnold Lab for Translational Neuromuscular Physiology at Ohio State, his team is currently investigating the role of motor neuron degeneration in age-related loss of physical function and testing survival motor neuron protein, the protein that is deficient in SMA, as a potential therapeutic strategy in sarcopenia. Dr. Arnold is also interested in developing biomarkers and therapies for other genetic forms neuromuscular disorders, in particular, nondystrophic myotonic disorders and myotonic dystrophy. His motto? “Nothing great is easy”. Each year, the Joseph V. Scaletti Catalyst Lecture series features scientific breakthroughs by a biomedical researcher at the forefront of biomedical research and education. Everyone is welcome to attend! Extensive use of antibiotics in medicine and the livestock industry has driven the evolution of drug resistant human pathogens on a global basis. The development of antibiotics with truly novel mechanisms of action is moving at a glacial pace. New approaches to the treatment of multidrug resistant bacterial infections are urgently needed. On April 27, HIV pioneer and infectious disease researcher Dr. Robert T. Schooley will be at the University of New Mexico School of Medicine to describe his ground-breaking work on a newly “re-discovered” approach to the treatment of bacterial infection in humans: bacteriophage therapy. 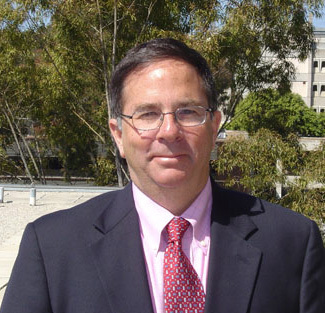 Dr. Schooley, Senior Director of International Initiatives and Professor of Infectious Diseases at the University of California, San Diego has been invited to present the 2018 Joseph V Scaletti Catalyst Lecture as part of an ongoing series featuring researchers at the forefront of biomedical research and innovative models for healthcare delivery and education. Bacteriophages (literally “eaters of bacteria”) are viruses that attack and lyse bacteria. Originally discovered on the Indian subcontinent shortly after the turn of the 20th Century, they were briefly developed in Europe and the US for therapeutic applications in humans. A lack of understanding of optimal targeting coupled with the discovery of sulfonamides and penicillins shifted attention away from bacteriophage therapeutics in the West in the 1940’s although interest in their use persisted in a number of Iron Curtain countries. We were recently challenged with the need to treat a critically ill patient with a multidrug resistant Acinetobacter baumannii infection acquired during a visit to Egypt who had failed to respond to multiple courses of antimicrobial therapy. Working with colleagues at Texas A&M University, the US Navy Biodefense Research Directorate and AmpliPhi Biosciences under an eIND protocol, we successfully treated the patient with sequential courses of personalized bacteriophage cocktails directed at the patient’s own Acinetobacter baumannii. We have since treated an additional four patients with drug-resistant bacterial infections with personalized bacteriophage cocktails. In the course of this work we have learned about the safety, tolerability, pharmacology, pharmacodynamics and evolution of bacterial resistance to therapeutic bacteriophages. Although our anecdotal experience has been quite positive, rigorous controlled clinical trials are required to fully understand the promise and challenges facing the evolution of bacteriophage therapy of human infections. Robert T. Schooley, M.D. is Professor of Medicine in the Division of Infectious Diseases, the Vice Chair of the Department of Medicine and the Senior Director of International Initiatives at the University of California, San Diego. Dr Schooley began his research career studying the immunopathogenesis of herpesvirus infections in immuno-compromised patients but shifted his focus to AIDS in 1981 when the first cases of this syndrome began to appear in Boston. His research group was among the first to delineate the humoral and cellular immune responses to HIV infection. Over the next 15 years he became increasingly involved in the discovery and development of antiretroviral chemotherapeutic agents including reverse transcriptase inhibitors, protease inhibitors and entry inhibitors. During his tenure as Group Chair the NIAID’s AIDS Clinical Trials Group (ACTG) expanded to include research sites in Latin America, the Caribbean, South Asia and Africa and is now the largest and most productive multinational clinical and translational research organization focusing on the pathogenesis and therapy of HIV and its complications. His current research interests include bacteriophage therapy, HIV and HCV pathogenesis and therapy and infections that cause morbidity and mortality in resource limited settings. Working with Dr. Emilia Noormahomed, he (together with Drs. 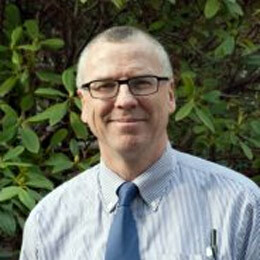 Benson and Smith) provides leadership to the UEM-UCSD Medical Education Partnership Initiative. Each year, the Scaletti Catalyst Lecture features the work of a researcher at the forefront of biomedical research and innovative models for healthcare delivery and education. This year’s featured researcher is Dr. Bertha K. Madras who will speak on how to seize unanticipated and serendipitous moments in life to generate new research and professional pathways. Dr Madras is professor of psychobiology in the Department of Psychiatry at Harvard Medical School and former Deputy Director for Demand Reduction (prevention, treatment) in the White House Office of National Drug Control Policy, Executive Office of President (a position for which she was unanimously confirmed by the US Senate). 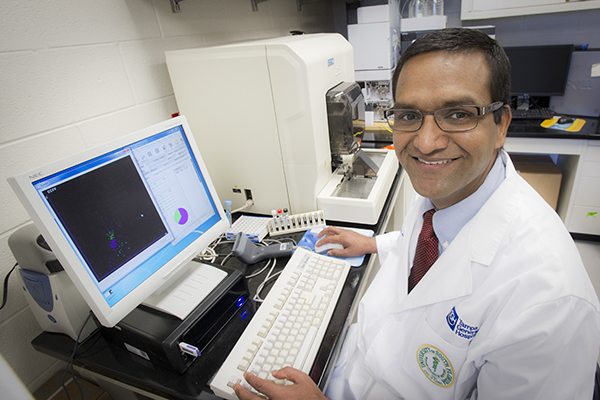 Dr Madras’ research focuses on the relevance of dopamine signaling to addiction biology, ADHD, and Parkinson’s disease. She has authored over 200 scientific manuscripts, book chapters and essays, and she recently co-edited a book on the Cell Biology of Addiction. Dr Madras and collaborators hold 19 patents for novel brain imaging agents and candidate therapeutics and her brain imaging agent, altropane, was listed by The Better World Report as “one of 25 technology transfer innovations that changed the world”. Notable awards include an NIH MERIT award, the American Academy of Addiction Psychiatry Founders’ Award, and the NIDA Public Service Award, among others. She has delivered over 250 public presentations globally, and she developed a museum exhibit and a CD (licensed by Disney) with the Museum of Science, Boston. Madras BK, Colvis CM, Pollack JD, Rutter JL, Shurtleff D, von Zastrow M, eds. Cell biology of addiction. Cold Spring Harbor, NY: Cold Spring Harbor Laboratory Press, 2006. Madras BK, Kuhar MJ, eds. The effects of drug abuse on the human nervous system. Amsterdam: Elsevier, 2013. Seeman P, Madras BK, eds. Imaging of the human brain in health and disease. Amsterdam: Elsevier, 2013. Nitrate and nitrite have traditionally been considered dietary toxins that increase the risk of stomach cancer. Recent scientific discoveries suggest that nitrate and nitrite are in fact natural signaling pathways in the human body, via a NO synthase independent reductive pathway from nitrate-to-nitrite-to-NO. Nitrite is now appreciated as a biological reservoir of nitric oxide (NO), present in plasma, red cells and organ systems, that is reduced to NO during physiological and pathological hypoxia. Current studies by multiple research groups indicate that nitrite forms via reduction of dietary nitrate to nitrite by commensal mouth bacteria, in addition to NOS-dependent nitrite formation from NO oxidation. Nitrite then contributes to critical physiological functions such as blood pressure control, hypoxic vasodilation, mitochondrial respiration and the cellular resilience to ischemic stress. Pre-clinical and clinical studies suggest that inhaled and oral nitrite may be able to prevent and reverse established pulmonary arterial hypertension and phase II proof of concept trials are currently in progress in the US and Europe. It is proposed that the nitrate – nitrite – NO pathway represents a fundamentally conserved pathway for physiological and pathological hypoxic NO-signaling in biology. Dr. Gladwin has published over 320 manuscripts since 1996, which have had a significant impact on the fields of vascular and nitric oxide biology. His work is cited more than 3,700 times per year with an h-index of 85. Among his major scientific discoveries is the finding that the nitrite salt is a biological signaling molecule that regulates physiological and pathological hypoxic responses, blood pressure and flow, and dynamic mitochondrial electron transport. He characterized the role of hemoglobin and myoglobin as signaling nitrite reductases that regulate NO production under hypoxia. His seminal publication on this topic in 2003 has been cited more than 1150 times and is listed by Nature Medicine in its top ten Classic Collection. This work has led to the development and licensing of intravenous, oral and inhaled nitrite as a human therapeutic, with completion of animal toxicology, GMP formulations and phase Ia and Ib clinical trials. Phase II trials of inhaled nitrite are now underway for the treatment of pulmonary arterial hypertension, metabolic syndrome, and heart failure with preserved ejection fraction. In addition to studies of nitrite, he characterized a novel mechanism of disease, hemolysis-associated endothelial dysfunction. This work has described a state of resistance to NO in patients with sickle cell disease, malaria, transfusion of aged blood, and other hemolytic conditions, caused by scavenging of nitric oxide by hemoglobin that is released into plasma during hemolysis. These studies translated to clinical and epidemiological descriptions of a human disease syndrome, hemolysis-associted pulmonary hypertension. These investigations form the backbone of Dr. Gladwin’s current work at the University of Pittsburgh’s Hemostasis and Vascular Biology Research Institute and the Division of Pulmonary, Allergy and Critical Care Medicine. Mark Gladwin received his M.D. from the University of Miami Honors Program in Medical Education in 1991. After completing his internship and chief residency at the Oregon Health Sciences University in Portland, Ore., he joined the NIH in 1995 as a critical care fellow in the Clinical Center. After completion of a clinical fellowship in pulmonary medicine at the University of Washington in Seattle, he returned for a research fellowship at the Critical Care Medicine Department under the mentorship of James Shelhamer, Frederick Ognibene, Alan Schechter, and Richard Cannon. He later served as the Chief of the Pulmonary and Vascular Medicine Branch within the NHLBI, NIH. In August of 2008, Dr. Gladwin became Chief of the Pulmonary, Allergy and Critical Care Medicine Division at the University of Pittsburgh School of Medicine and the Director of the newly formed Hemostasis and Vascular Biology Research Institute (now the Pittsburgh Heart, Lung, and Blood Vascular Medicine Institute). In March 2015, Dr. Gladwin was appointed Chairman of the Department of Medicine in the University of Pittsburgh School of Medicine. Each year, the Joseph V. Scaletti Catalyst Lecture series features scientific breakthroughs by a biomedical researcher at the forefront of the transition from lab bench and classroom to the bed side, contributing to more healthy and productive lives. Many of us grew up with the metaphor of ‘germs’ as the enemy and ‘microbe hunters’ as the warriors in an ongoing battle against disease-causing microorganisms. But in the era of the human microbiome, we’ve begun to recognize that the distinctive colonies of microorganisms co-inhabiting our bodies are essential for the maintenance of life and health and that many of those ‘germs’ are on our side. In fact, the metaphor has shifted from “us against them” to “we’re all in this together”; in the words of biology-watcher Lewis Thomas, each of us “could be taken for a very large, motile colony of respiring bacteria, operating a complex system of nuclei, microtubules, and neurons for the pleasure and sustenance of their families”. 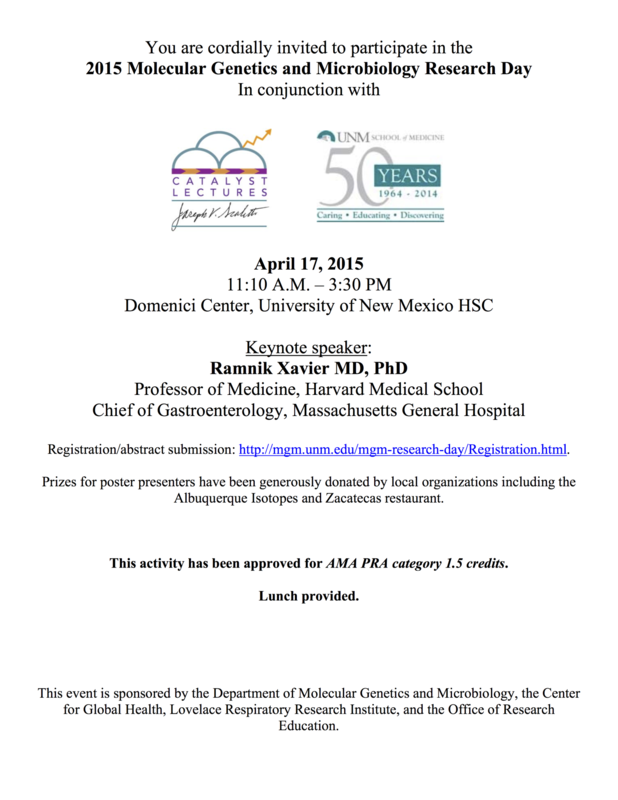 On Friday April 17 2015, Dr. Ramnik Xavier will be at the University of New Mexico School of Medicine to present an invited lecture in the Joseph Scaletti Memorial Catalyst Lecture series: “Genes, bugs and intestinal inflammation”. Dr. Xavier is the Chief of Gastroenterology at Massachusetts General Hospital (MGH) and Kurt Isselbacher Professor of Medicine at Harvard Medical School; he is also an institute member of the Broad Institute of MIT and Harvard, co-director of the MIT Center for Microbiome Informatics and Therapeutics, and the director of MGH’s Center for the Study of Inflammatory Bowel Disease (IBD). As both a clinical gastroenterologist and molecular biologist, Dr Xavier studies the molecular mechanisms of innate and adaptive immunity and the genetic variants implicated in Crohn’s disease, ulcerative colitis and autoimmunity. Recent findings from Dr Xavier’s lab have shed light on the role of autophagy—the process by which cells break down and reuse proteins—in the development of Crohn’s disease. As participants in the NIH Human Microbiome Project, Dr. Xavier’s team is actively investigating the relationship between genes, the microbes living in the human gut, and Inflammatory Bowel Disease (IBD). Dr. Xavier’s presentation is the keynote lecture of MOLECULAR GENETICS AND MICROBIOLOGY RESEARCH DAY 2015, organized in conjunction with the 50-year anniversary of the School of Medicine; the keynote lecture honors of one of school’s founding faculty members, microbiologist Joseph V. Scaletti, PhD. Each year, the Joseph V. Scaletti Catalyst Lecture features an individual, institution, or idea responsible for accelerating the rate of positive change and forward progress in the areas of biomedical research, healthcare education, or healthcare delivery. In recognition of his ground breaking research in molecular biology and his application of that research in the diagnosis and treatment of human disease as a practicing physician, Dr. Ramnik Xavier has been invited to present this year’s Joseph V Scaletti Catalyst Lecture. Everyone knows that air pollution affects the lungs. But how much do you know about the impact it has on the cardiovascular system? 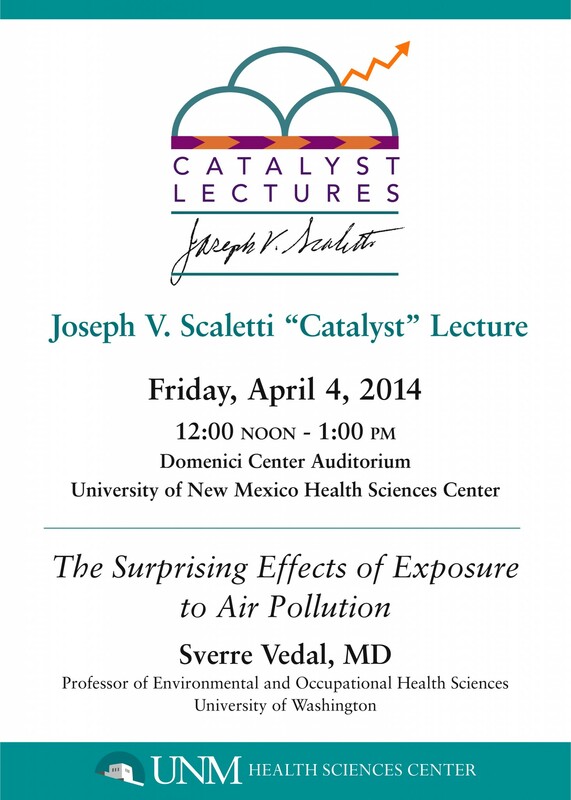 Discover some of the lesser-known, more surprising effects of traffic pollution when Dr. Sverre Vedal presents the 2014 Joseph V Scaletti Catalyst Lecture at noon on Friday April 4 2014 at the University of New Mexico School of Medicine. Dr. Vedal directs the University of Washington Center for Clean Air Research (UW CCAR) a multi-institutional center focused on the cardiovascular health effects of near-roadway pollution, defined as a complex mixture of components that come from vehicle emissions and the road surface, which vary with the age of the road surface, atmospheric conditions, and photochemical reactions. Professor of Occupational and Environmental Health Sciences and Adjunct Professor of General Internal Medicine at the University of Washington, Dr. Vedal has an MD from the University of Colorado School of Medicine, a master’s in epidemiology from Harvard, and bachelor’s degree in philosophy from the University of Colorado at Boulder. Dr. Vedal has published research linking air pollution to hardening of the arteries, directs the Center for Clean Air Research, served as a member of the EPA Clean Air Scientific Advisory Committee (CASAC), currently serves as a member of CASAC panels for particulate matter and ozone and the NIH Infectious, Reproductive, Asthma and Pulmonary Conditions (IRAP) Study Section, and sees patients in the Occupational and Environmental Medicine Clinic at Harborview Medical Center. In 2011, Dr Vedal was invited to present the Distinguished Faculty Lecture at the University of Washington School of Public Health; the title of that talk was Air Pollution: Can it really be that bad for us? Each year, the Joseph V. Scaletti Catalyst Lecture features an individual, institution, or idea responsible for accelerating the rate of positive change and forward progress in the areas of biomedical research, healthcare education, or healthcare delivery. In recognition of his work as a practicing physician, a biomedical researcher, and an active advocate for quantifying the impact of environmental pollutants on human health, Dr. Sverre Vedal has been invited to present this year’s Joseph V Scaletti Catalyst Lecture. Entomologist/molecular biologist Marcelo Ramalho-Ortigao takes a comprehensive approach to Leishmaniasis, integrating research at the molecular level, with research on the responses of individual vertebrates to the disease, and extending into biogeographic studies of how land-use policies may affect the spread of disease, with the ultimate goal of furthering our understanding of the vector-pathogen interaction in general. Leishmaniasis is a disease caused by the parasitic protozoan Leishmania and is transmitted by the bite of the female sandfly. The disease takes two forms, Cutaneous leishmanaisis which affects the skin and mucous membranes and, more severely, Visceral leishmanaisis in which the parasites migrate to the vital organs. As principal investigator in the Department of Entomology’s Biology of Disease Vectors Laboratory at Kansas State University, Dr Marcelo Ramalho-Ortigao’s research focuses on the primary vector for this disease: the sand fly. He has demonstrated that, by targeting vector molecules, he can interfere with pathogen development within the vector, opening some new avenues for exciting future discoveries. It’s this potential for Dr Ramalho-Ortigao’s approach to catalyze new research discoveries related to the prevention and treatment of this neglected tropical disease, that resulted in an invitation to present this year’s Joseph V. Scaletti Catalyst Lecture. Each year, the Catalyst Lecture features an individual, institution, or idea responsible for accelerating the rate of positive change and forward progress in the areas of biomedical research, healthcare education, or healthcare delivery. The lecture series honors the work and ideals of one of the founders of the UNM School of Medicine, microbiologist Dr Joseph V Scaletti. Scheduled for 12 noon on April 12, 2013, Dr Ramalho-Ortigao’s talk, Sand Fly-Leishmania Interactions: Applying What We Know will cover various aspects of molecular interactions of the sand fly and Leishmania – focusing on the midgut of the vector, including details of midgut targets that might be used in prevention of disease transmission by sand flies, as well as basic biological functions of the disease. Necrotizing enterocolitis (NEC) is a major cause of injury and death in premature newborns, affecting nearly 10% of infants born prematurely or with low birth weight. In spite of numerous studies over the years, it has been difficult to track down a single unifying cause for this disease. Last year, however, Dr. Akhil Maheshwari, physician and researcher at the University of Illinois Chicago College of Medicine, made a discovery that has exciting potential applications in the early diagnosis and treatment of this disease. During NEC, bacteria in the baby’s intestine trigger a strong inflammatory response causing tissue damage. This is somewhat surprising when you consider that, as adults, each of us normally carries trillions of bacteria in our large intestines, all of which stay in perfect harmony with the host in a mutually beneficial relationship. Maheshwari and his colleagues wondered how this could be possible. He postulated that (1) the mature intestine must have developed ways to adapt to the huge load of immunostimulatory bacteria in the gut lumen, minimizing adverse inflammatory responses to these bacteria and their products, and (2) these mechanisms for the normal suppression of inflammation are not yet in place in the premature intestine. This line of reasoning could go a long way toward explaining why NEC is associated with several, diverse causes of gut injury, seemingly lacking any common thread. Instead we can now envision it, not as single disease entity, but as a generic response of the developing intestinal tissue to diverse forms of injury. This new theory led Dr Maheshwari and colleagues to examine the differences between the premature and the adult intestine. What they discovered is that the developing intestine lacks a protein, called transforming growth factor-beta 2, that trains the host defense mechanisms in the intestine to minimize the inflammatory responses while still maintaining mechanisms for eliminating wayward bacteria. This discovery raises exciting possibilities both for early diagnosis of NEC and for developing novel ways to treat this disease. In the 2012 Joseph V. Scaletti Memorial Catalyst Lecture, Dr Maheshwari focuses on unique aspects of inflammation in the premature intestine and outlines potential mechanisms for correcting areas of imbalance for both preventative and therapeutic purposes. A physician/researcher specializing in neonatal intensive care and immune disorders, Dr. Akhil Maheshwari, of the University of Illinois-Chicago College of Medicine, has been invited to present the 2012 Joseph V. Scaletti Catalyst Lecture on Apr 06 12:00 PM in Domenici Center Auditorium on the campus of the Health Sciences Center of the University of New Mexico. A practicing physician specializing in neonatal necrotizing enterocolitis and developmental gastroenterology, Dr Maheshwari is also deeply committed to basic research and the training of physicians, physician-scientists, and basic scientists; his research focuses on the mechanisms of inflammatory gut injury in neonatal necrotizing enterocolitis with specific focus on leukocyte trafficking, tight junctions, and macrophage function. Some of Dr Maheshwari’s recent research published with colleagues includes: TGF-β2 Suppresses Macrophage Cytokine Production in the Developing Intestine and Protects against Experimental Necrotizing Enterocolitis, T cell cytokines and the risk of blood stream infection in extremely low birth weight infants, Probiotic Bacteria Induce Maturation of Intestinal Claudin 3 Expression and Barrier Function, and Do Red Cell Transfusions Increase the Risk of Necrotizing Enterocolitis in Premature Infants? 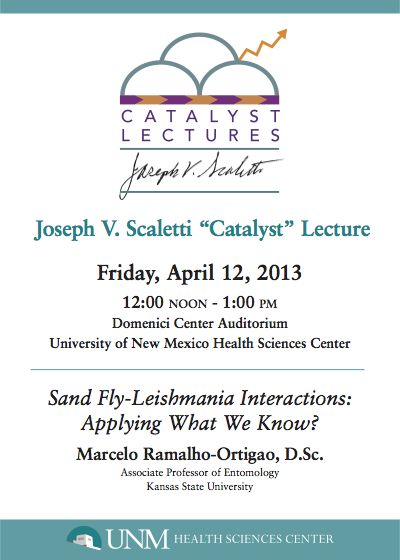 Each year, one of the Signature Research Programs at the University of New Mexico School of Medicine selects an outstanding physician/researcher whose work embodies the ideals of Clinical/Translational Research with immediate “bench to bedside” impact on the community to present the Joseph V Scaletti Memorial Catalyst Lecture. The Signature Research Programs are focused on critical health problems affecting New Mexico residents and seek to bridge the clinical and basic sciences in order to more rapidly deliver discoveries in molecular medicine to the clinical setting. This year, Child Health, the newest Signature Research Program, has invited Dr Maheshwari: Associate Professor of Pediatrics and Pharmacology, Division of Neonatology Chief, Program Director of the Neonatal Fellowship Program, Director for Neonatal and Pediatric Gastrointestinal Disease, and Medical Director of the Neonatal Intensive Care Unit and Intermediate Care Nursery at the University of Illinois Children’s Hospital. The inaugural lecture in the annual Joseph V. Scaletti Memorial Catalyst Lecture series was presented by Kelan Tantisira, MD MPH. Dr. Tantisira’s research centers on the pharmacogenetics of asthma. Pharmacogenetics promises to revolutionize the treatment of disease by tailoring the treatment to each individual, based upon that individual’s genetic makeup. Pharmacogenetics is already improving drug safety, increasing the effectiveness of existing drug treatments, and aiding in the discovery of new drugs by taking the uniqueness of each individual patient’s potential response to the drug into account. An introductory tribute to Dr Joseph V. Scaletti was presented by Philip Eaton, MD, Emeritus Executive Vice President for Health Sciences.